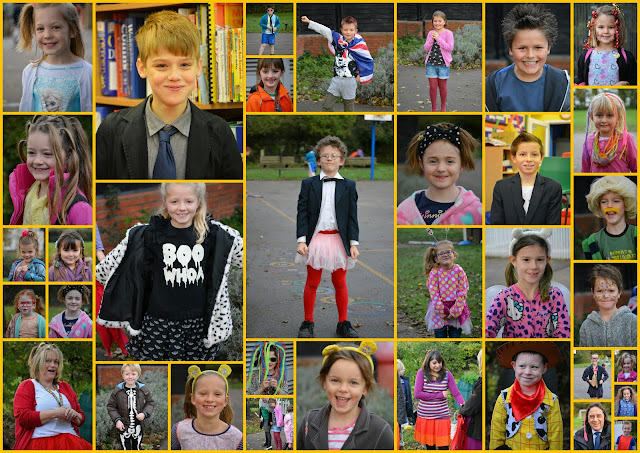 This morning, in aid of Children in Need, pupils and staff dressed up in weird and wacky clothes for a donation. They also laid a copper trail around the school. The day was organised by one of our year six girls, and all the year six pupils became teachers for the morning, dividing between the three classes to cook biscuits with Red Class, make and test paper planes in Yellow Class, and develop games and animations using Scratch in Blue class. It was an interesting, and enjoyable, experience being a pupil for the morning in my own class and I think the year six children learnt a lot about the need for good organisation and an ability to think on your feet! The children were collecting up and counting the coins during the afternoon, so we will hopefully be able to announce how much was raised in tomorrow morning's assembly.